PBS No Passport Required: D.C.
Marcus visits the longstanding Mexican community in Chicago — the second largest in the U.S. — to learn about its heritage and traditions. With muralist Juan Angel Chavez, Marcus eats tacos de cecina and grilled nopales, and discusses the important role meat plays in Mexican cooking. Later, Marcus discovers the secrets of making mole sauce with master chef Diana Davila, who combines Chicago’s local ingredients with the techniques of pre-Hispanic Mexican cuisine at her restaurant Mi Tocaya. The competing chefs are told to picture themselves in a lovely coastal town as they prepare a meal of magnificent beach bites for the judges. A variety of seafood and a flotilla of edible boats kick things off in the appetizer basket. When more than one of the competitors don't leave much time to plate, they cut it close and try to beat the clock. A cute, beach-themed surprise makes an appearance in the entrée basket, and desserts with a splash of rum and a dose of fun are in store for the judges. New Orleans is known for being one of the most vibrant food cities in America, thanks in part to the Vietnamese community's culinary contributions. With Cindy Nguyen, NOLA's first Vietnamese councilwoman, Marcus learns about the essentials of the cuisine. Alongside Peter Nguyen and Tung Nguyen, he discovers how young chefs are taking culinary traditions and translating them for a new, multicultural generation. And as he takes in everything from pho and banh mi to Vietnamese iced coffee, Marcus also hears about how the BP oil spill and Hurricane Katrina impacted the community. Firefighter cooks take over the Chopped stoves in this special competition, proving that they're cool under pressure and thrive when the heat is on! Will some familiar finds in the first basket lead the competitors in predictable or creative directions? In the entrée round, the firefighters must make a strange sweet treat work with beef, and the dessert basket reveals a flaming surprise for the two finalists. Marcus heads to Detroit — home to one of the largest and most diverse Middle Eastern communities in America — to explore its culture, history and food. With a family of Syrian refugees in Dearborn, he shares a home-cooked meal and talks about their proud heritage and overcoming misconceptions. Over Yemeni tea, he discusses the importance of finding community. And Marcus cooks with Lebanese-American pastry chef Lena Sareini, eats falafel and learns how to make the Iraqi bread samoon, all before ending the trip at an amazing 700-person wedding. Style walks into the kitchen when Harlem's very own Marcus Samuelsson and Los Angeles' finest Michael Voltaggio arrive to conquer Bobby Flay. They're counting on dim sum master Ed Harris or seafood connoisseur Jason McLeod to help get to the top. Born and raised in Peoria, Illinois, Brianna Thomas grew up surrounded by music. Ms.Thomas' father, Charlie Thomas, influenced her with his own unique talents as a vocalist and percussionist. At age six, she made her singing debut with her father's band, performing a duet rendition of the Jazz classic, "What a Wonderful World." Just shy of her teens Ms. Thomas was noticed by local Jazz musician John Hardesty. Since graduating college in 2011, Ms. Thomas has performed with many jazz greats including Clark Terry, Wycliffe Gordon, Houston Person, Mulgrew Miller, Wynton Marsalis, Russell Malone, The Legendary Count Basie Orchestra, Kurt Elling, Michael Feinstein and longtime hero Dianne Reeves. Ms.Thomas also continues to perform world-wide for venues such as Jazz At Lincoln Center, Smoke Jazz Club, Ginny's Supper Club, Minton's, JALC Doha Qatar, The Apollo and the prestigious Montreaux, Umbria, Bern, and Sochi Jazz Festivals. Ms. Thomas was a 2014 musical ambassador touring South East Asia for the "American Music Abroad" program, as a guest vocalist with The Amigos Band - singing folk, bluegrass, gospel and jazz. She teaches with JALC's Jazz For Young People Program to educate students in New York City School’s about the importance of Jazz in American History and Today. Ms. Thomas released her debut album You Must Believe in Love on Sound on Purpose records in 2014 featuring Ulysses Owens and Drums, Allyn Johnson on piano, and Yasushi Nakamura on bass, With special guests including Russell Malone (guitar), Marcus Printup (trumpet) Wycliff Gordon (trombone), Nick Grinder (Trombone), Tivon Pennicott (tenor sax) and Riza Printup (harp). LIVE AT GINNY'S: Damien Sneed Presents: "We Shall Overcome" a Celebration of Martin Luther King Jr.
Sneed brings his many talents in multiple genres to his solo projects. 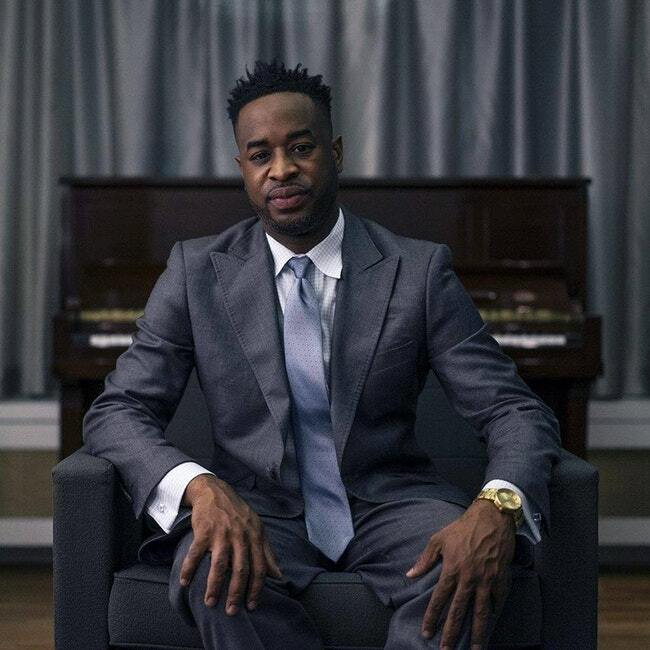 His first live solo recording project, Introspections LIVE, takes the listener on a musical journey through his development as a performer, and includes classical, jazz and gospel music. The recording features performances by nearly 50 instrumentalists and vocalists from various genres of music. Introspections LIVE, which was recorded at Columbia University’s Miller Theatre in 2010, is a collection of musical reflections of the most memorable moments of his life—ones that have shaped his musical artistry. A 23 year-old drummer, bandleader, composer and arranger, Evan Sherman has played all over the world with the likes of James Moody, Branford Marsalis, Wynton Marsalis, Ron Carter, Roy Hargrove, and Jon Batiste. He continues to tour with pianist Cyrus Chestnut, the Jimmy Heath Big Band, and the Dizzy Gillespie All-Stars. In 2014, Evan formed the Evan Sherman Entourage and 16-piece Big Band, which consists of up-and-coming creatives alongside a rotating cast of incredible veterans and guests. In addition to its residency at Dizzy's Club Coca-Cola's late night dance parties, frequent appearances at the legendary Rainbow Room in New York's Rockefeller Center, and the Bowery Electric, the Entourage's upcoming performances for the summer and fall of 2016 include Lincoln Center's Midsummer Night Swing, Caramoor Jazz Festival (where they premiered an original piece of jazz theater, "A Story of Patience"), The Appel Room, and Ginny's Supper Club. A native of New Jersey, Evan graduated from the Manhattan School of Music in 2015 and is based in New York City. This performance at Ginny's Supper Club will feature legends Kuumba Frank Lacy, Ben Wolfe, as well the most exciting talents of today such as Bruce Harris, Coleman Hughes, Julian Lee and many more! 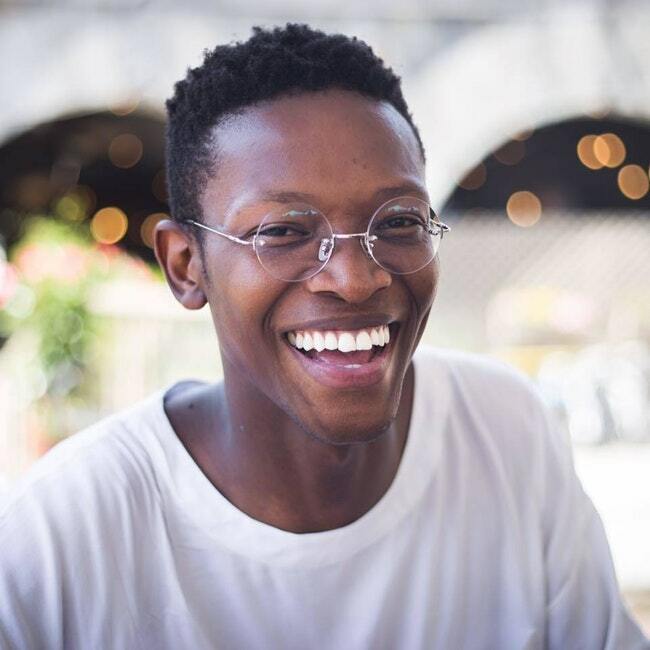 Young South African jazz vocalist, Vuyo (Vuyolwethu) Sotashe, is gradually making his mark in the New York jazz scene. Sotashe moved to the NYC in 2013 after being awarded the prestigious Fulbright Scholarship to pursue Master of Music (Spring 2015) at William Paterson University. 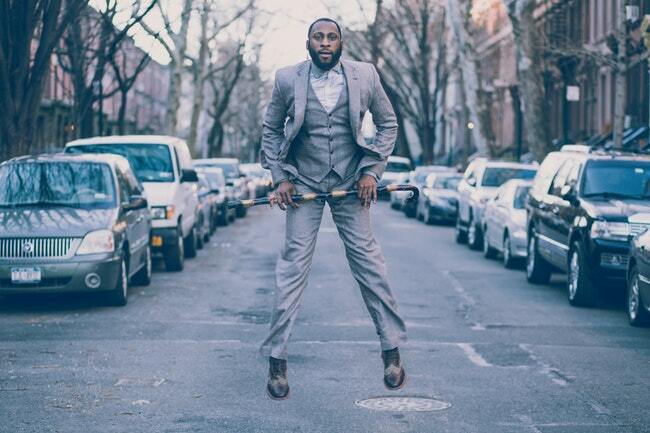 Since then, he has gone to win first prize at the very first Mid-Atlantic Jazz Festival Vocal Competition in 2014, and performed on the festivals's main stage in February of 2015. The junior chefs come out strong in the appetizer round, when they are tasked with pairing a baby vegetable with pickled fruit. In round two, the junior chefs must figure out how to work mushroom-flavored snacks into their entree courses. Then, the two finalists find creative ways to make desserts with a never-melting ice cream snack and marshmallows. Premiering Tuesday, September 12th at 8pm – "Fast Food Face Off"
With a healthy fast food theme in effect, a new group of kid cooks must make appetizers using a popular condiment and seafood. An ancient grain bread is paired with poultry in the entrée basket, and the dessert basket contains a frozen, fruity Italian treat. When the baskets get tough, the Chopped judges get cooking! In round one Marcus Samuelsson, Scott Conant and Amanda Freitag must use their noodles to make the most of fresh pasta dough. Chumminess and yumminess abound in round two when the judges take on a newlyweds-themed dessert basket featuring cheese and cake and Ted Allen asks the chefs some intimate questions. In round three, Marc Murphy, Alex Guarnaschelli and Scott get cracking on some succulent lobster tail and fresh star fruit from the Star Power finale, and the judges get a taste of the limelight as they're mobbed by paparazzi mid-round. Which food truck chef will fortune shine upon in this competition of determined mobile meal vendors? There's a traffic jam at the fryer as the chefs attempt to make outstanding appetizers with two proteins. In the entrée basket, the chefs find a New England sandwich and a Mexican pepper. The final two food truck chefs left in the fight receive dessert nachos in the last basket. 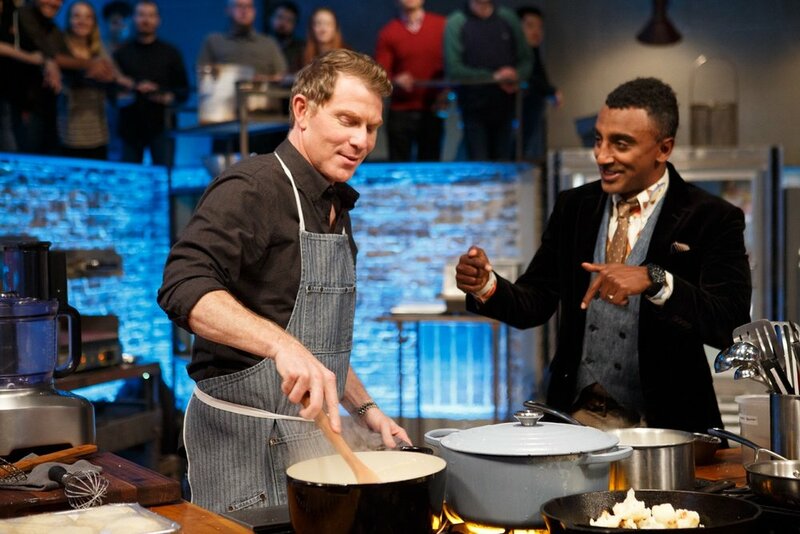 The Kitchen's Katie Lee and Chopped’s Marcus Samuelsson hold nothing back as they aim to get Bobby Flay beat. They take no chances with Canada's own Alida Solomon and Italian-born Pasquale Cozzolino. It's always a blast when the judges take over the Choppedkitchen after hours! 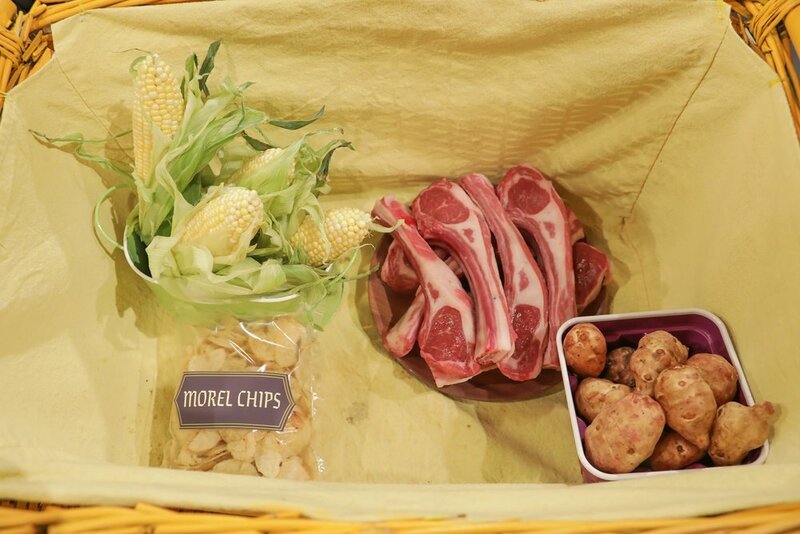 In round one, they tackle the mystery basket from a Father's Day competition. Scott Conant aims to tame the whipped cream canister while Mark Murphy turns the pantry into his own personal man cave and Alex Guarnaschelli constructs an impeccable tiramisu. In round two, things heat up when the judges must make entrées using a caddy of hot sauces. 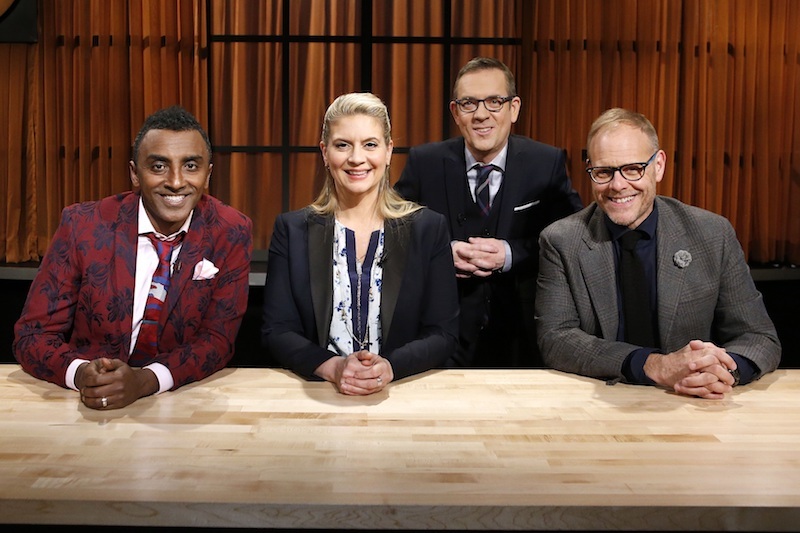 Then, in the final round, the judges try their luck with duck and Amanda Freitag gets a surprise visit from a special guest! 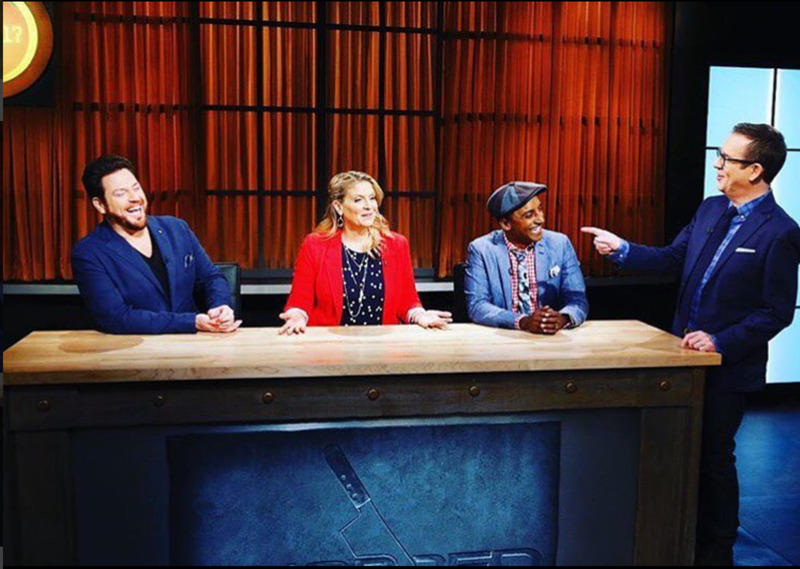 Premiering Tuesday, August 15th at 10pm – "Grill Masters: Battle 3"
Ground beef and curly fries are familiar enough appetizer ingredients, but can the kid cooks stay focused enough to make creative choices and technically-excellent dishes? The junior chefs see seafood inside the second basket, then a cookie cup stuffed with something surprising must be incorporated in desserts. 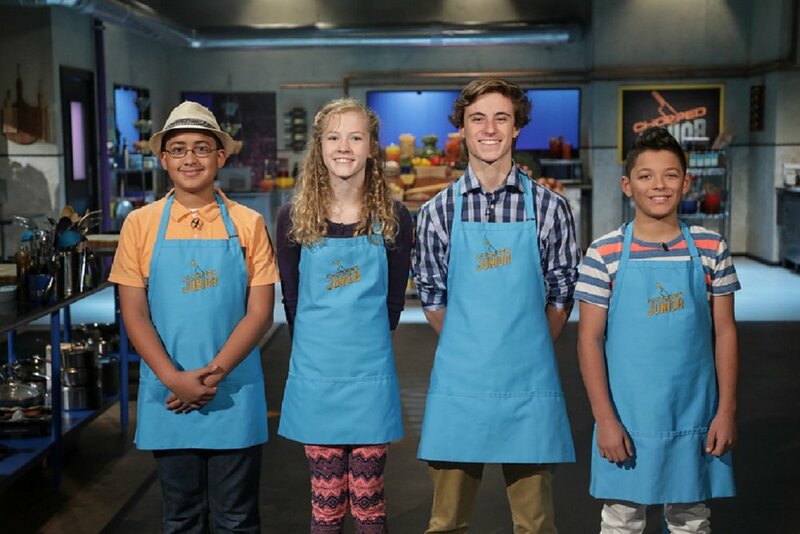 A new round of talented young cooks storms the kitchen to win over the judges. First, they find some unusual gifts from the sea in the appetizer basket, and in the entrée round, something sweet and something bitter in the basket make for a flavor-balancing act. Then, chocolate ravioli desserts prove to be a challenge in a hectic final round. Go to nycwff.org for more info.